As a Boston native who works in the golf industry and often takes golf trips, I thought it would be fun to highlight some of the best golf trips from Boston. Knowing not all swings are equal, I did my best to highlight different options to help the budget conscious traveler, family traveler, and that golf snob who is looking for an amazing experience. Fly or Drive, Friends or Family, Rich or Poor, here are some examples of the best golf trips from Boston. 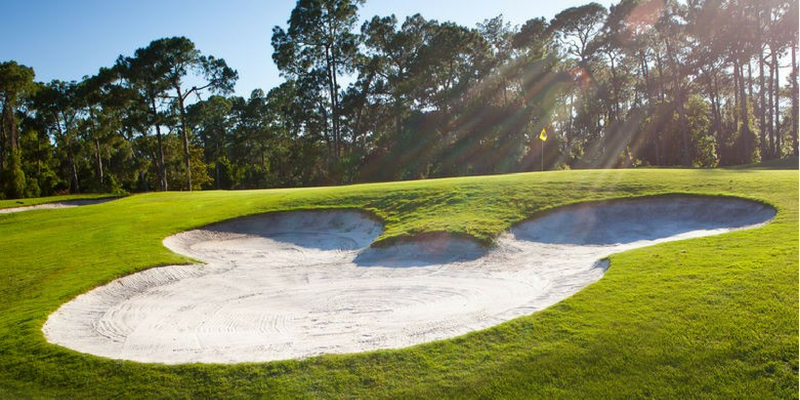 Most affordable golf trip from Boston – If you are looking to take a golf trip on a budget, the best option from Boston is Myrtle Beach. Although I do not love Spirit Air, they offer cheap/direct flights from Boston to Myrtle. I’ve seen the flights as low as $59 each way. Myrtle Beach has about 90 golf courses to choose from. If you go to PlayGolfMyrtleBeach.com you can explore the courses, options, and packages available. As you explore package options, you can find really cheap stay and play packages which include 36 holes of golf, a nightly stay, and meals for as low as $100 a day per person. You can’t beat the value of Myrtle Beach Golf anywhere else in the country. There are courses available for all budgets, but Caledonia Golf and Fish Club (pictured above) and Barefoot Resort are a couple of my favorite quality courses in Myrtle Beach. Outside of the great golf, Myrtle has great beaches right near the awesome golf so bring your family or significant other along for the trip. If you are looking for the most affordable golf trip from Boston, Myrtle Beach is the place to go. Best golf trip within driving distance – Turning Stone Resort and Casino is about a 4-5 hour drive from Boston directly up the Mass Pike. Turning Stone has it all if you are looking to golf, eat and gamble. There are 5 courses at Turning Stone. The best course called Atunyote is an amazing track which is in pristine shape and frequent host of national golf tournaments. I really like the design of the courses at Turning Stone given the fairways are generous and give erratic hitters like me the opportunity to hit greens even with a poor tee shot. If you are seeking a great steak dinner, the TS steakhouse at Turning Stone is one of the best steak dinners I have ever had. Two of my friends got the Cowboy Ribeye and I am still jealous to this day. Turning Stone has clubs, dancing, music, and full gambling casino with a large poker room for those of you looking for entertainment at night. 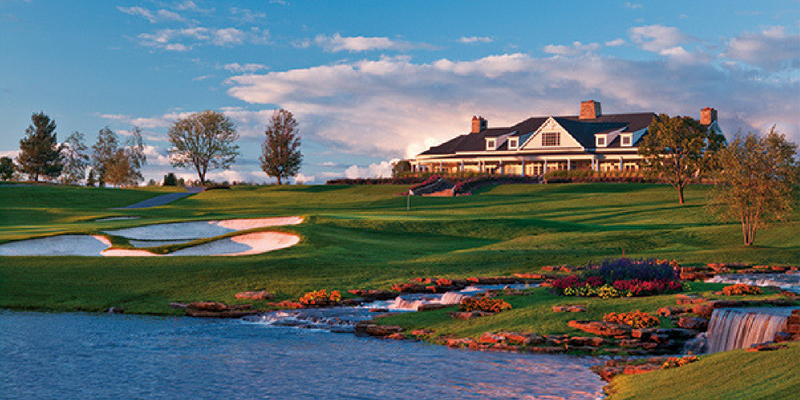 If you are looking for a weekend golf getaway within driving distance to Boston, check out Turning Stone Resort. Best golf trip to spoil yourself – The Broadmoor in Colorado is one of the only AAA 5 diamond resorts and Forbes 5-star resorts in the United States. From the lodging, golf, and food, everything at the Broadmoor is top notch. The level of service and detail from the staff is exceptional. We felt a bit out of place as a group of young adults at the Broadmoor, given it is very high class and you can sense the level of wealth of the families at the resort. 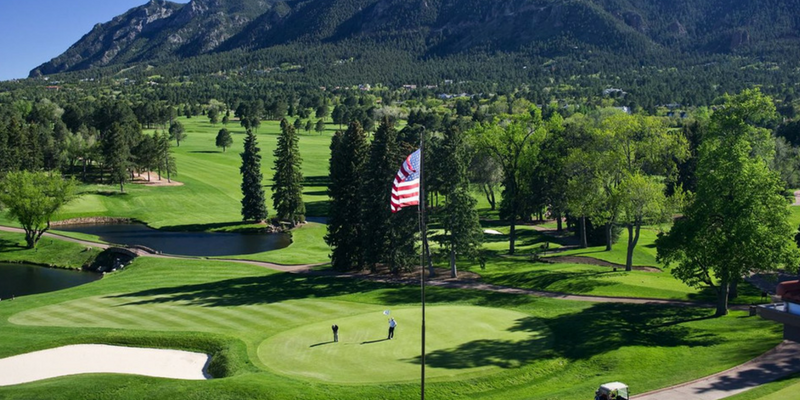 There are two golf courses at the Broadmoor which are both very picturesque and historic. The East Course hosted the 2018 USGA Senior Open which is a statement in quality. Both of these courses have the quality to host a PGA Tour event, but unfortunately are too short for the golf professionals of this day and probably will never be a Tour stop. Flights into Denver are reasonable with Jetblue or Southwest. Pro Tip: Visit the Beehive which is a local pub in the area. The food, craft beer selection, and fun experience with the staff throwing sticky bees around the restaurant is a lot of fun. Best family golf trip – Visiting Disney and Orlando is probably the best family golf trip. Since there is a lot to do both on and off the course, Disney is one of the best family golf destinations in the world, and getting to Orlando from Boston is straightforward. Disney has 3 golf courses on site plus a short 9 hole golf course too. 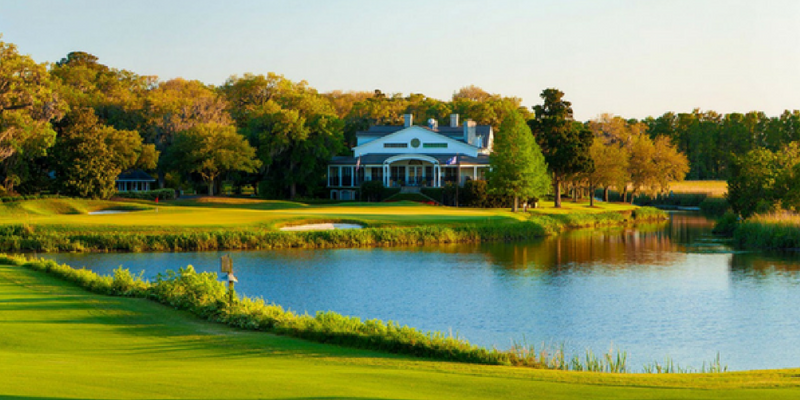 The Palm and Magnolia are both championship caliber golf courses and host to many national events including the 2016 Fall NCCGA National Championship. Disney World, Universal, and everything about Orlando screams family golf trip. What are some of your favorite golf trips from Boston? Please comment below or send me a tweet @Nextgolfer. Thanks for reading!